Enjoy the timeless charm of hardwood flooring with contemporary ceramic durability. The Daltile Parkwood Brown Ceramic Floor and Wall Tile delivers a classic wood grain visual with a smooth surface, a perfect upgrade for any room without the hassle of wood maintenance. This large-format, glazed design mimics the beauty of natural wood while providing the longevity and strength of easy-to-clean ceramic, suitable for both commercial and residential installations in a variety of patterns and layouts. 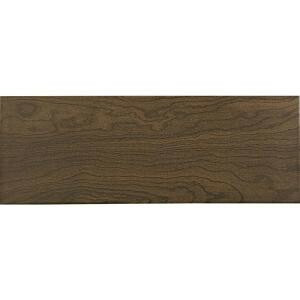 Buy online Daltile Parkwood Brown 7 in. x 20 in. Ceramic Floor and Wall Tile (10.89 sq. ft. / case) PD13720HD1P2, leave review and share Your friends.